For The Good Of The Kingdom (FTGOTK) invited MissionFOTO to New Union, WV to videotape a church that had sought and used the ministry services of FTGOTK as a result of a church split some years before. 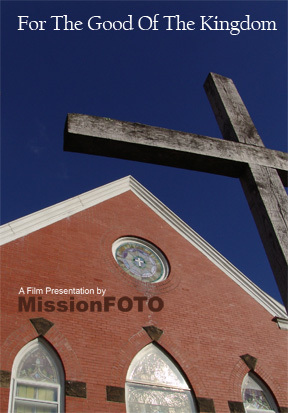 The film is no more than simple interviews of the pastor and elders who, through the efforts of the ministry, had pieced the church back together into a stronger, vital growing body of believers. It was a pleasure for MissionFOTO to play even a small part in this effort.